How do we make worship contextual? 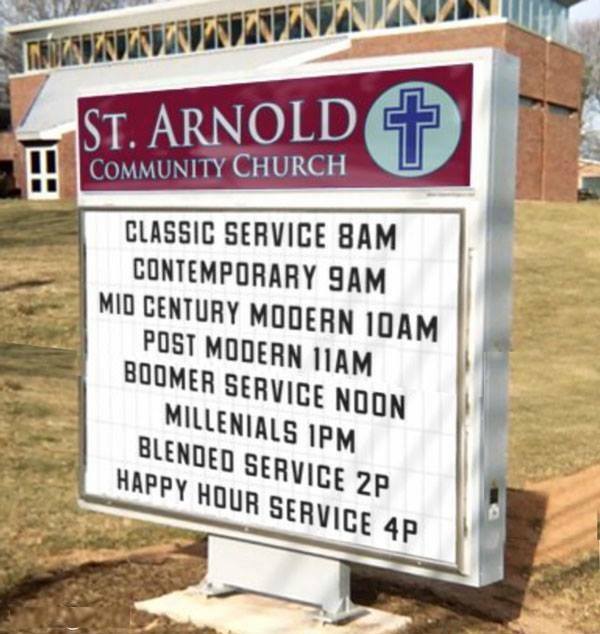 These choices for worship have come to be expected in many churches. Is there anything wrong with them? Perhaps they are a cultural phenomenon in a society bent on individualization (a symptom of the Burger King ethos where you can “have it your way”). Perhaps they are the church’s most missional effort to reach as many people possible with the gospel of Jesus. However, a church that encourages self-preferential behavior seems to run against the path of discipleship that teaches, “Do nothing from selfish ambition or conceit, but in humility regard others as better than yourselves” (Philippians 2:3). What style would worship take if those assembled regarded others as better than themselves? The Nairobi Statement reasons that worship, as it dynamically relates to the given culture in which it is enacted, is contextual. Worship cannot be disconnected from the time and place in which it is enacted. Many of the factors pertaining to how worship is offered are determined by its particular context. “We call on all churches to give serious attention to exploring the local or contextual elements of liturgy, language, posture and gesture, hymnody and other music and musical instruments, and art and architecture for Christian worship.” (Nairobi Statement on Worship and Culture, 6.1) Faithful worship does not ignore the people or culture in which it is located. To return to our reframing question: “What should our local expression of worship sound like?” Contextual worship makes use of the music, language, and artistic forms of the local culture the church is planted in. This means that Lutheran worship in downtown New Orleans will potentially be radically different than Lutheran worship in rural Montana. Regardless of how radically different they appear in form and content, they both remain faithful enactments of Lutheran worship. The willingness to connect to the surrounding culture and become contextual make their worship faithfully Lutheran, not their predilection for Baroque-era European music. Contextual worship requires rooting into the neighborhood. There are no shortcuts to contextual worship; real, relational, outwardly focused ministry is the only way to discern context. Contextual worship does not imply a disregard for global music or the historical practices of the church. The sounds of a worshiping assembly should be reflective of the culture that it is planted in. The musical gifts present that are present within a local church should be used to make worship contextual. The Holy Spirit, equipping her for ministry, gives these gifts to the local church. Many churches have a preconceived idea that worship should sound a certain way, requiring particular instruments for worship to sound that way. Instead of hiring a drummer or hiring an organist because of the perception of what worship should sound like, worship should sound like what you are. The sounds of contextual worship, produced by the people that God has gifted to a church, should be current and modern, as well as reach back into the history of our faith. P.S. For further analysis of how to enact faithful, Lutheran worship that is also transcultural, counter-cultural, and cross-cultural, see Can We Talk? Engaging Worship and Culture. Weekly Worship Thought – Can We Talk? 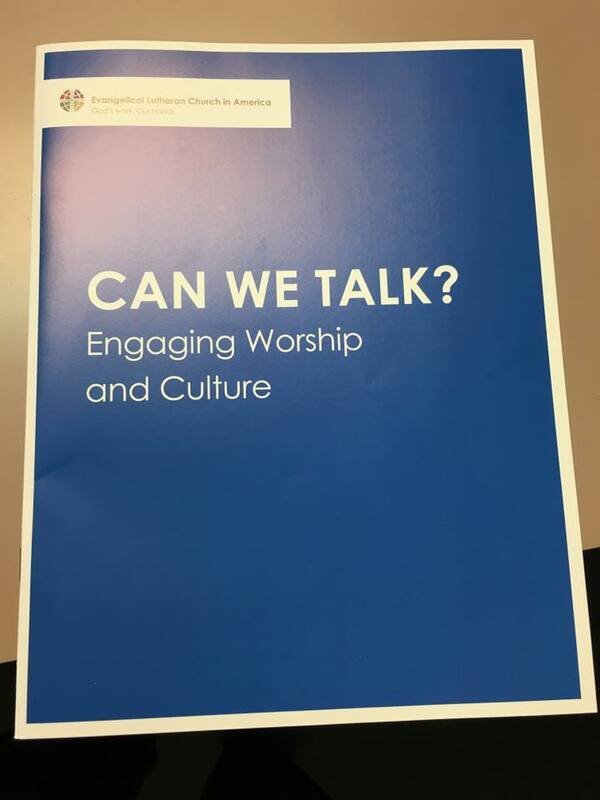 This week I will begin to lead our worship band through some discussion using the new resource: Can We Talk? Engaging Worship and Culture. This resource is a type of study guide to help churches practically flesh out how and why worship intersects with culture. 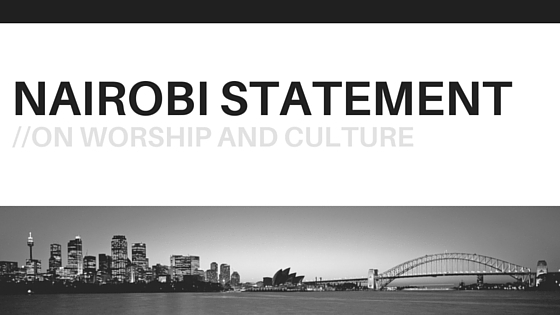 It uses the Nairobi Statement as a lens to view worship. Although our worship band mainly provides the music for the service, it is helpful to think about worship as a whole and how our music serves it. We will have some discussion about what worship looks like (how is our space used and what can visual arts do?) sounds like (music and the proclamation of God’s word), and how worship engages mind, body, and spirit through ritual practices like prayer, the sacraments, and blessings. I was thrilled to be a contributing author for this resource and highly recommend checking it out. contradictory to the values of the Gospel. From the perspective of the Gospel, they need critique and transformation. Contextualization of Christian faith and worship necessarily involves challenging of all types of oppression and social injustice wherever they exist in earthly cultures. 4.2. It also involves the transformation of cultural patterns which idolize the self or the local group at the expense of a wider humanity, or which give central place to the acquisition of wealth at the expense of the care of the earth and its poor. The tools of the counter-cultural in Christian worship may also include the deliberate maintenance or recovery of patterns of action which differ intentionally from prevailing cultural models. These patterns may arise from a recovered sense of Christian history, or from the wisdom of other cultures.